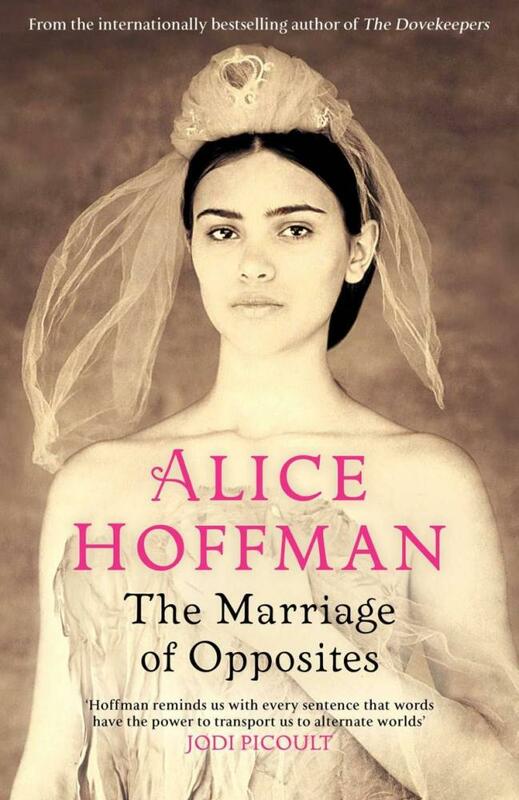 Alice Hoffman is the author of 25 adult novels and a handful of young adult and children’s books. Her voluminous body work is sometimes critiqued as being uneven, but a reader beginning with The Marriage of Opposites will come away eager for similar gems. Despite Hoffman’s stated interest in fantasy and science fiction, there’s little of that in The Marriage of Opposites. The story follows the mother of a famous artist, beginning long before his birth, and ties together the two places they both call home: Paris and the tropical island of St. Thomas. Jacob Abraham Camille Pizzarro’s story is so deftly interwoven with those of other family members, I wasn’t sure he was a real person until the Afterword, which provides a guide to elements of the novel that are drawn from Pizzarro and his mother Rachel’s real lives. Appropriately for an artist’s story, Hoffman uses color to provide a sense of the worlds the characters inhabit. “On the porch tubs of dye had been set out: heron blue and midnight, teal and a pale lilac-hued blue that was so like a hyacinth that bees rumbled nearby.” The weather is also important; readers will come away with an idea of St. Thomas as a hot, wet, red, orange, and yellow island, still tightly connected to its colonial past. Later, when some of the characters have gone to Paris, with its cool, drizzly, greeny-gray atmosphere, the contrast can’t be more pronounced. Rachel and her friend Jestine long for the elegance and chill of Paris as they remain trapped in St. Thomas. The ambiance is mystical. The Marriage of Opposites flourishes with heat, dreams, colors, fate, and birds. Often the dreams are of birds or lovers. Hoffman spends most of her character development on women; men are important, but they’re less fleshed out. They come across as better people — more happy, less vindictive, less judgmental. Perhaps because in this time period they have more agency, more ability to leave a bad situation. An interesting and surprising historical theme in The Marriage of Opposites is the presence of a Jewish community on St. Thomas. How the Jews arrived is briefly addressed; the novel focuses on what sets them apart. It’s not simply religion, but a desire to stay out of the limelight, keep their heads down, and be forgotten by the outside world. When a stereotype pops up, it’s from the characters themselves: Jews should be hard-working; Jews on St. Thomas should follow the social strictures that keep them from being noticed. Rachel Pomié, whose own mother dislikes her for being too unconventional, is the novel’s main character. Through the course of the story, Rachel mothers nine children, meets the love of her life, fights the synagogue to marry him, learns to run her father’s business, and finally manages to fulfill one of her fervent dreams. Readers will find many of the women in this novel unusually realistic; they can be sympathetic, especially as young people, but several of them repeat past mistakes and become controlling and unpleasant. They all suffer loss, often related to their children. Jacob’s story follows Rachel’s; he has both a gift for art and an ability to probe into the past to uncover the events that have made his mother, her best friend Jestine, and other women in their circle feel so powerless. The Marriage of Opposites draws readers into a captivating world of characters who, though constrained by fate, occasionally carve out moments of connection and joy.